Trust and respect among key stakeholder groups, especially employees and customers, cannot be overstated in their importance to an organization's success. Trust engenders loyalty and good reputation, which in turn builds brand value. The Ethical Leader provides a practical introduction to some key concepts in ethics, including how to deal with ethical paradoxes and how to make ethical decisions. Ethical behavior is the key to trust-building, but it needs to go deeper than something managers do out of a sense of moral duty. 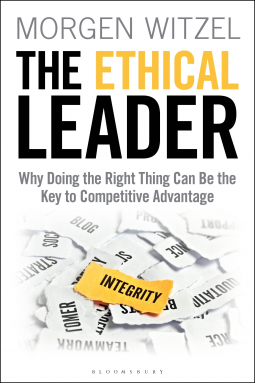 The Ethical Leader show why ethics needs to be the platform from which to build a strong and enduring business, and it provides the necessary tools and insights for how to make this happen.